This rough-legged hawk was spotted at Cove East. An exciting find, as a few months ago, this bird was far to the north in his breeding grounds of the Arctic. 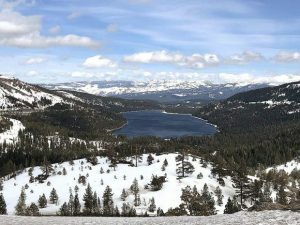 With all the snow that is piling up around Lake Tahoe, it might be hard to imagine heading out to nature to look for birds, but not if you’re an avid naturalist like Will Richardson, co-founder of Tahoe Institute for Natural Science, located in Incline Village. Will manages and coordinates the Tahoe Christmas Bird Count which is sponsored by the Audubon Society, and is held every year around Christmas, taking place all over North America. Volunteers for the count met at Alpina Coffee Café at 8 a.m. before heading over to Cove East as a group before splitting up to cover other areas of the 15-mile diameter circle. The group was treated first off to a bald eagle sighting: one adult and three immature individuals. 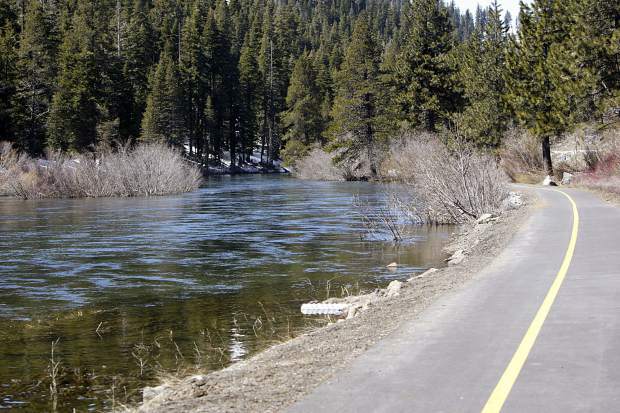 After that auspicious beginning, some people ventured to the Upper Truckee Marsh, others to Rabe Meadow, the Tahoe Keys, Taylor Creek and Fallen Leaf Lake. It’s always advantageous to go with other birders for the extra eyes but also to draw on the knowledge of others in the group and certainly a treat to be birding with Will, as he is well-versed in all things nature, having received his Ph.D. in Ecology, Evolution and Conservation Biology from the University Nevada Reno, studying bird communities in Sierra Nevada aspen habitats. Rich Chambers, San Francisco resident and part-time Lake Tahoe resident, got interested casually in bird watching when he lived in North Carolina. He put out a bird feeder and got involved in trying to identify different species that visited. When he moved to California, he hung a bird feeder and continued to learn about birds. He became more deeply involved in 2015, when TINS hosted the Tahoe Big Year, a friendly competition that encouraged people to document and upload their bird sightings into a TINS database. This aspect awakened the competitive side to Rich and he ended up documenting over 200 species of bird that year, going from a casual observer to a man driven. He attended the Master Birding Program in San Francisco and now leads nature and bird walks for TINS. Rich, along with Will and Sarah Hockensmith of TINS, started at a private home in the Keys, where they observed several species of duck, including greater scaup and lesser scaup, mallard, gadwall, green-winged teal, northern pintail and American wigeons. Hard as it was to tear themselves away from this spectacular showing, Rich’s group ventured over to Taylor Creek — as Will went off to explore other areas — seeing another bald eagle, a great blue heron and a pair of Townsend’s solitaires. The Townsend’s solitaire is a medium-sized thrush which feeds almost exclusively on juniper berries in the winter. Next stop was Pope Beach where they found only one Steller’s jay but discovered the strikingly-colored male bufflehead near the Beacon Restaurant. These ducks have a large white patch on the nape, with glossy green and purple patches on top of the head and around the neck. The weather cooperated and at the end of the day, the satisfied volunteers met for pizza, socializing, tallying and story swapping. In all, nearly 70 species were recorded that day. Highlights included the group of four bald eagles, the male Eurasian wigeon seen at Edgewood Golf Course, grazing in the grass along with a male American wigeon, and a rough-legged hawk seen from Cove East. If you are interested in bird watching and missed this exciting day, there is another event coming up this weekend, also sponsored by TINS — the Mid-Winter Bald Eagle Count. 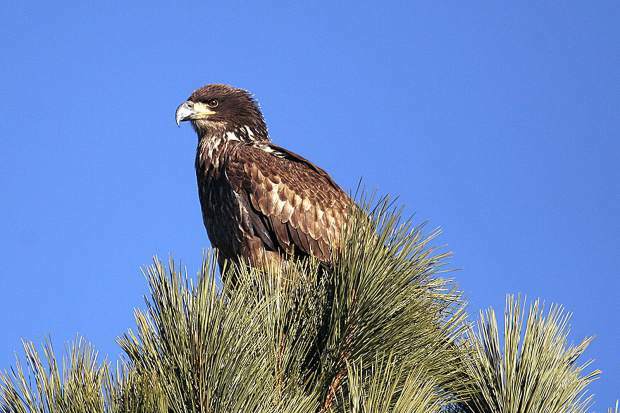 There will be a pre-event dinner, open to even those who won’t participate in the count, in South Lake Tahoe at Lake Tahoe Pizza Co. on Thursday, January 12, from 6-8 p.m., which will include a presentation on bald eagles given by Will Richardson. Sarah Hockensmith, Outreach Manager for TINS will be coordinating the sign up and pre-dinner presentation meeting for the bald eagle count. Sarah attained her Bachelor of Science from California State University and hopes that her enthusiasm, knowledge and passion for the natural sciences and the outdoors will influence others to be stewards of Lake Tahoe’s resources and to find value in the environment. Please contact Sarah to purchase tickets for the dinner ($15) and RSVP. Space is limited for the dinner but all volunteers are welcome to participate in the count, which takes place at various areas all around the lake on Friday from 9 a.m. to noon. 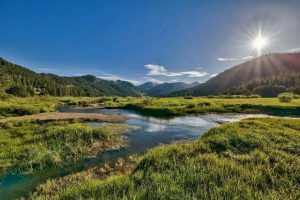 Rich Chambers plans to observe at Cave Rock; other areas for observation include Upper Truckee Marsh, Cove East, Sand Harbor, Sugar Pine Point State Park, Lake Forest, Timber Cove Pier and others. Contact Sarah, 775-298-0067 to decide where to observe or visit the TINS website, tinsweb.org. Each area will have a leader directing the efforts — beginners are welcome. Toree Warfield is an avid nature lover, and writes this column to teach and stimulate interest in the marvels that surround us. See saveourplanetearth.com to read columns and to find links to bird song recordings, additional photos and other content.